A Soaringly High FSH and Undetectably Low AMH Leading to an Old Fashioned Conception! – by Kumari L.
Perhaps my story will help someone do the same; to keep choosing the path of possibility even when the obstacles seem insurmountable. Our stories may not turn out the same, but if I learned one thing from the Fertile Heart Ovum practice, it’s that hopelessness is not a fertility friend and self-pity can only lead you down a dead end road. In June of 2010 I noticed my periods becoming sporadic and I began to experience hot flashes. I attributed the changes to stress, and the fact that I was in a new relationship after a rather traumatic breakup. The hot flashes stopped after a while but I decided to get tested and my first FSH reading came back at 109. I had no idea what this meant. I signed up for an appointment with a fertility specialist through the National Health Service here in the UK. When I realized that that appointment was going to take much too long, I decided to go to a private clinic. The first specialist I saw said: Gosh with these levels you are way past menopause, FSH levels need to be under 10. I was completely crushed!!! Desperate to prove that this must’ve been some sort of mistake I was determined to find somebody who would have better news. I could hardly breathe when the second fertility specialist confirmed the diagnosis. After that second consultation I was on a downward spiral and after each appointment I got more and more depressed. So when one of the private clinics was offering free fertility support group sessions, I decided to join. But the energy in that group got me even more down. Everybody was so angry and bitter I was in worse shape after the group was over than I was before I got there. The third fertility specialist was with the National Health Service and by then my FSH level soared to 150 and when they tested my anti mullerian hormone levels, the doctor reported that my low AMH level was pretty much nonexistent at 0.01. It’s best, he said, that I move toward a donor egg cycle as soon as possible, because, the later I do it, the less chance of success. So not only was I devastated, now I was in a frenzy, feeling I had to act immediately or else all chances of having a baby would be gone. I was about to talk to my younger sister asking her if she’d consider being my donor but then something just made me stop. I’m not even sure what it was that got me feeling that what I was hearing especially about the rush toward egg donation didn’t make sense. I was only 34. I was reading about women going through successful egg donor cycles in their late forties, even early fifties. Why was this fertility specialist in such a rush to get me sign up for egg donation? It didn’t feel right to me, so I decided I needed to just take a break, give myself a chance to sort things through. 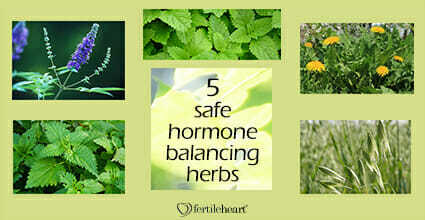 And that’s when one day searching for some information on fertility herbs I found Fertile Heart. I immediately got The Fertile Female and Inconceivable, started to work with the Imagery CD’s, and when I heard the Expert Within Imagery it was a kind of an instant enlightenment! I suddenly felt how true that was that I had been going to all these external experts, but really had no idea who my fertility expert within was, or how I would access her wisdom. Gradually as I became more familiar with the Ovum ideas, the answers to that question seemed to come when I least expected them. When I joined a teleconference I immediately felt like this was a whole different way of looking at infertility. It was such a welcoming community and the focus was on truly mothering ourselves and turning this into an opportunity no matter how things turned out. I loved that! I kept reading and re-reading the chapters in The Fertile Female. If I got down on my body about not doing what I wanted it to do, I’d read Issues in Your Tissues. For a while it was my favorite chapter. 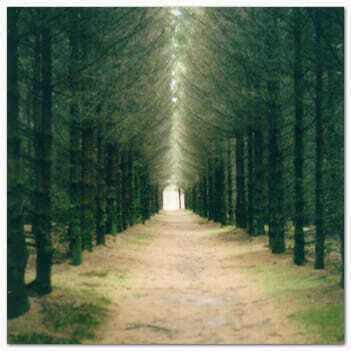 The Fertile Heart tools helped me get through the most crushing times, I had the CD’s on my iPhone and would listen to them whenever I felt like hopelessness was taking over. I’d do the Wailing Wall from the Body Truth CD when I got enraged at the pressure, which, looking back, was all about money making. But at the time I was so vulnerable that without these tools and without finally accessing the fertility expert within, it would’ve been so easy for me to succumb to the pressure. Gradually I started looking at my life and this journey through a very different lens and I actually started looking at this journey as a great gift. I know you might be saying it’s easy for her to say that now. But the truth is that even before I became pregnant I realized what a gift this journey was for me. I’ve been so used to striving at work, in my relationships, and in just about everything, that my walk towards my baby, as Julia calls it, just became part of the striving. I would spend hours researching every herbal supplement, sign up for every alternative fertility therapy, berate myself for any slips in my “fertility diet,” do every visualization exercise. But it was all done in such a frenzied fashion that it was perhaps doing more harm than good. When I finally understood what the Fertile Heart Ovum practice was really about, I decided that I was doing a good enough job. And I stuck to my routine around fertility supplements, instead of trying to find new remedies every second or third day. I did my imagery, and the meditation and movement sequences from Body Truth, and I hung on to hope in a more compassionate embrace. Choosing Possibility: FSH 150, AMH 0.01 and a baby on the way! I found out I was pregnant on New Year’s Eve, what a way to start the year! Yes, I’m pregnant, conceived the old fashioned way with lovely intervention from my most wonderful husband. And the journey continues. Although I’m pregnant, I’m still using the Fertile Heart Ovum practice tools, I’m still walking toward my baby, still learning about slowing down, treating myself to a reflexology session, reminding myself to be compassionate with myself. 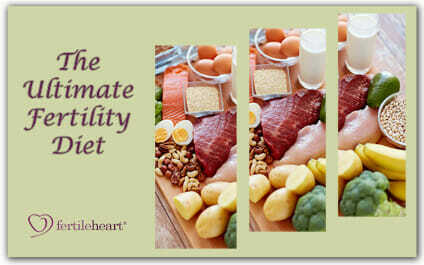 That, might be another important priceless lesson in fertility that I learned through my Fertile Heart journey. I must first be compassionate with myself, then it’s a lot easier to be compassionate with everyone else around me. I imagine it will also make it a lot easier to be a good mom. Thank you, Fertile Heart for being here, for helping me hold on to the empowered fertility specialist within and to drown out the voices shouting at me from all directions that with and FSH of 150 and barely detectable low AMH of 0.01 I would never conceive naturally! Julia, I think your work is sooooo important, thank you for the bottom of my heart! Congratulations! Can I ask if you know anyone who’s had success twice with high fsh and low amh? At 28 I found out my fsh was 27 & amh .01 yet seven months after finding this out, I conceived my daughter naturally with diet, supplements, and acupuncture. My question is what are the chances of it happening again? I’m now 32 and my daughter 2.5 – and of course I’d love another baby. Problem is my cycle is so off, which is kind of ironic because it wasn’t at 28. Hi Kumari, I think the magic of you sharing your story is it mirrors the experience of many and has a happy ending. Roberta’s current situation and mine is also very similar, and I feel less isolated even when such powerful associated emotions are washing over me. I am a raw foodist predominantly and have redressed my health over several years. I have the high FSH, low AMH and periods have been MIA for 4 months. 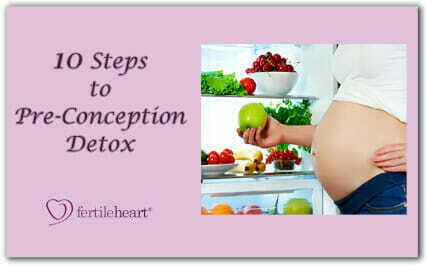 I am determining which fertility treatment to try. Any feedback on this is welcome. I was wondering if either yourself or Roberta had an ultrasound and would care to share the feedback. Mine showed follicles on each ovary and all okay. I think it was strange how when I made the decision to have babies alone, as I am single, my period disappeared. Any suggestions? Emotions are such powerful things. I don’t know if Kumari is reading the comments these days, so here are some thought which I hope will be useful. The fact that your ultrasound showed follicles is certainly good news. Also the fact that you stopped ovulating when you decided to get pregnant, is a pretty good clue that there are some very powerful Orphans linked with the idea of getting pregnant. Which might be the same Orphans that have might have been sabotaging your intimate relationships. That, to me, says that this journey toward motherhood is a beautiful opportunity for healing for you. A cause for celebration, even though it probably doesn’t always feel that way. The Fertile Heart Ovum Program is a practice that addresses emotional and physical and spiritual “obstacles” on our way to parenthood. It’s a powerful practice, but it’s a practice, and like any other practice, it works when we “work it.” Kumari and everyone who shared their story here worked it with some guidance and support and their stories unfolded in a particular way. Your beautiful story too is unique, and it will also unfold in a particular way depending on the choices you make. The Ovum practice, or whatever fertility enhancing modalities you decide to use, are meant to support you in making choices that will diminish suffering and turn this challenge into an adventure. 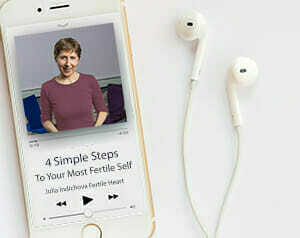 IF you do want to explore the Ovum practice in more depth, in the next couple of weeks I’ll also be leading a Free Teleconference Gathering to answer questions about the Ovum Work or anything else related to increasing fertility on all levels, so be sure to sign up for the newsletter on the home page. This is a link to a an upcoming Introductory Teleconference I’ll be leading in July, which might also be of interest. Keep going, sounds like there is a lot of gold here for you if you keep mining for it! Nice to have some feedback. I read the article you provided on your link and I think I am still in a position to try IVF but I have not been happy with the fertility group so far. The delivery of the news was like being hit by a baseball bat with no explanation for the swing. We haven’t actually tried anything, except 2 x 10 day periods of progesterone to bring on periods. One doctor wants me to take FSH, another growth hormone. My biochemist who helped me change my health to be for the most part a raw foodist, has had me on oils – fermented cod liver and other natural options. The attached article is timely as I went to an acupuncturist and chinese herbalist today. He has begun the healing process and hopefully will help me sleep again. He has suggested 3 sessions and won’t continue unless we make progress. He is also happy to share the herbal mixtures with my biochemist so I have one person who understands the emotional causes behind these issues and the science who thinks we should continue monitoring everything in the mix. I will keep the lessons of the article in mind. My situation is complicated by thyroid issues. I will sign up for the newsletter and go from there. Today’s session removed some of the emotions I was feeling. It feels so much like there is a piece of the puzzle I am missing and listening to my instincts is helping. Regardless, I understand its a journey I need to take. P.S. Reading Eckhart Tolle’s, “a new earth”, its also been enlightening! What an inspiring story! I am 36 with a recent FSH of 100 so I am excited to hear your story and so pleased for you. I wish you all the best with your pregnancy and congratulations on your little boy! Thank you all for your lovely comments on the post and to Julia for sharing my story with you. We found out last week that we’re having a boy! 23 weeks tomorrow. Sending you all lots of love, light and hope in the walk towards your babies. 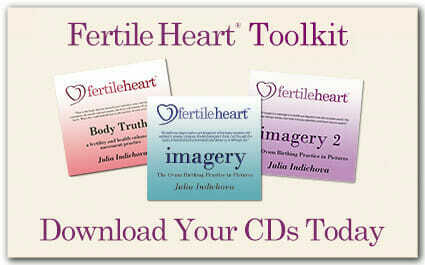 Trust the fertility expert within and be kind to yourselves. Lots and lots of love. What a beautiful story… it will inspire many people and hopefully will remind us all of the tremendous healing power of our bodies. I wish you all the best for the rest of your pregnancy. Keep us posted. Kumari thanks for your beautiful post! It’s such great medicine for us to read your story and breath it in. It’s so truly inspiration to read during this week rather than reading about ivf coverage by insurance companies. I should be an advocate against that as I had coverage and it resulted in me listening to the doctors and not my body and carrying on with repeated cycles that depleted my ovarian reserve as indicated by my FSH levels that kept rising as I proceeded into more and more cycles. Congratulation on the baby and walking towards your baby by listening to your body as the ultimate expert. Congratulations Kumari!!! What a beautiful story. I so need all the boosts of inspiration I can get right now. Your words about keeping to your schedule and being compassionate with yourself are speaking to me. Thank you for sharing and for your devotion to this practice and this community. Thank you so much for sharing your amazing story!! How wonderful and congratulations! I appreciate the idea of frenzied work to heal yourself and the authority within. The best of luck to you!! Thanks so much for sharing your story.. I too have high FSH and low AMH and it helps so much to hear your positive experience. I just started working with the ovum tools and really like them so far. Congratulations and good luck with the rest of your journey! Thank you so much for sharing your story, Kumari! I too have a high FSH and feel very much like you described on your low days. However, I also feel like this journey is a gift to me. I hope that I can share an amazing story like yours some day. Wishing you a beautiful and healthy pregnacy. Thank you very much for sharing your inspiring story. I am 42 years old, and I also have a high FSH level (30.8). I was told I am entering menopause. The doctor told me to “give it up”. My periods are regular, and I have no other symptoms associated with menopause. You give me hope that I may too have that beautiful baby. I SO want to be a mother. 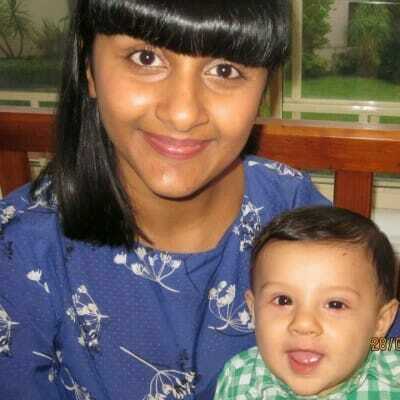 Thanks for sharing your story Kumari – and congratulations on continuing the walk towards your baby even when it was tough. Sending good energy from my bump to yours:). Congratulations and thank you for sharing your story. It’s inspiring to hear that it can happen. I’m in the same boat with high FSH levels and low AMH, and I’m exhausted with fighting yet still not willing to give up. I bought Julia’s cd’s and I’m not committed to them. Im reluctant and I wish I knew why. I find it odd that I believe in them but feel too exhausted to try them. Maybe I’m afraid that they won’t work for me, and after this there is nothing left for me to do. I am still going through night sweats and hot flashes but they have eased up with the help of HRT. After your cycles became sporadic how many months would you skip before you actually got a period? I haven’t seen a cycle in months. Thanks again for sharing you story and I wish you all the best. Hold onto hope Roberta…..I know that’s so hard to do when you’re ravaged by hot flashes and self doubt. I only had two periods last year…8 months a part….my cycles were soooo sporadic and it still happened. Use the cds when you can but don’t beat yourself up when you don’t. Be kind to yourself. Sending you lots and lots of love. Hi Kumari … thanks for your reply. Hope is all I have left. I pray that one day I will be able to post an inspirational story of my own. Untill then, I just have to keep on believing in miracles, and pray for my turn to come soon. Roberta, your experience resonates with me. I have had similar feelings—I believed (and still believe) wholeheartedly in Julia’s practice but somehow once it was the only option left I felt as if I was hanging off a branch that was about to break. I suddenly could not muster the energy for enjoying the healthy food or my yoga practice, which I HAD enjoyed so much before. It was tiring trying to do an imagery exercise every night. So, instead of doing the imagery exercises with the goal of getting pregnant, I just did them to explore my orphans and current feelings of the day. I found the cds to be a beautiful window into a different part of myself I had never explored before, a part that had been blocked by my longing for a baby, which I am coming to feel that for me, was just a substitute for a general longing for happiness. The more I read Julia’s website and blog, the more I feel that time is the least of our worries, and that when we are ready, our body will know what to do. I would suggest using the imagery for whatever feels right, and not try to push yourself in one direction. You might find out something new that you never expected (and, full disclosure, this has been a very difficult journey for me but I’m still glad I’m taking it). Hi Karina. Thanks for reaching out. I’ve tried to use the cd’s in the same manner as you. It does help. My newest issue now (which does not sit well with me at all) is how jealous I feel when I hear of pregnancies. This journey has been soooo long. I can understand how a “negative” journey can help us become better people, but I feel like I’ve had my limit and I’m ready for this chapter of my life to end already …. you know? I start to question what the next step has to be in order to patch up the place in my heart that is waiting to be filled. What an amazing story!!!!! Thanks so much for sharing! I love hearing stories like this of beating the odds. It just goes to show that the doctors don’t know everything and as you found out, we have to be our own experts. User Name: (required field) Please select an alias for your postings. EMail: (required field) Your email will NOT be displayed. You said we all have a Journey to undergo. I accepted that statement and believed that no matter the outcome I will go through this journey a better person. After six miscarriages in five years I finally conceived on my own at the age of 43 and delivered a beautiful healthy baby boy at age 44 on Feb 7 this year.